Last summer we got a new puppy, Sunny. At three months Sunny was 25 lbs, and just as cute as can be. She fit nicely into the large wire dog crate that we had for her to sleep in. It wasn't too bad...and Sunny continued to grow and play. Everywhere we'd go, everything we'd do, Sunny was always there, and through it all she has become a true member of our family. I came in one night from tucking the kids in bed to find Sunny curled up in a ball in her crate covered with my boy's special yellow blanket (bottom right photo). Looks like he was making sure she was tucked in too. :) Awww, cute! And when they come home there are always kisses to give, and kisses to receive. 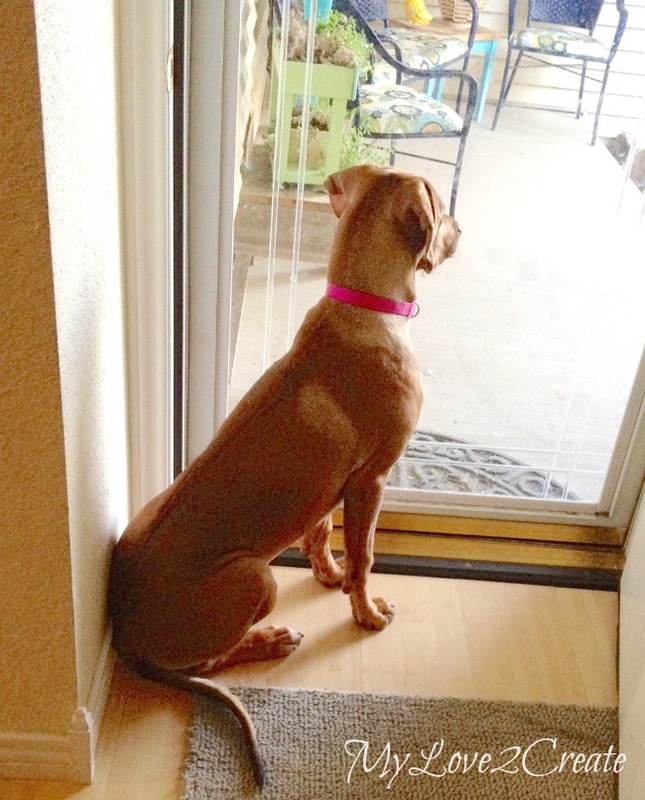 Sunny is no longer 25 lbs, at 11 months she is now in the high 80's. So, several months ago I started looking for XL dog crates. I wasn't pleased with the prices and to be honest wire crates are pretty ugly. So I went to plan B...I started looking for cribs. This was the result! 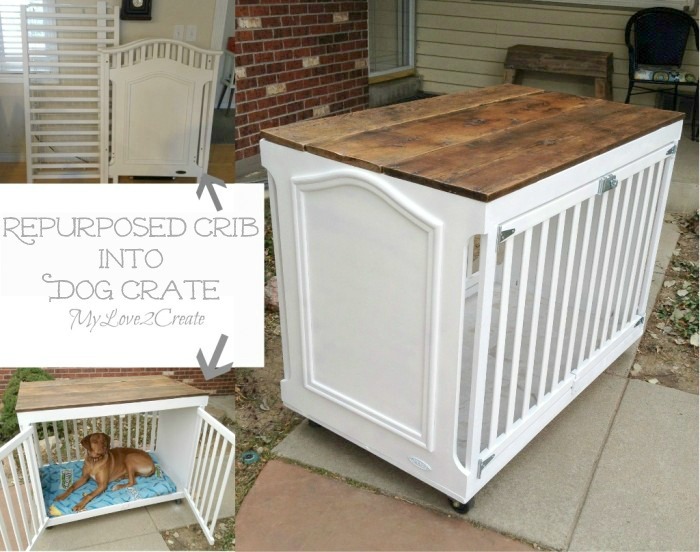 A crib turned Dog Crate that any dog would love to call home! 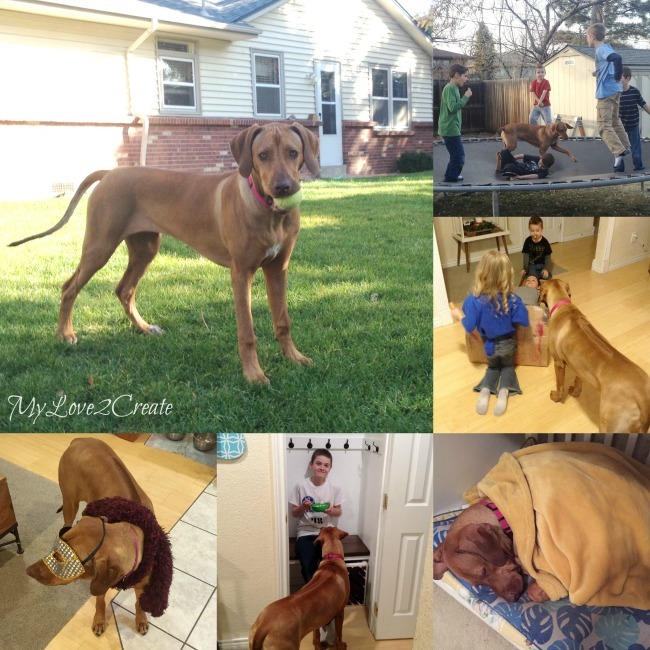 I shared this project on My Repurposed Life last December and Sunny has been loving it! I hope you hope on over to check out my Old Crib Turned into and awesome dog crate for a full tutorial on how I made Sunny's new bed, you won't be disappointed! It is definitely the prettiest dog crate I have ever seen, very creative! What a great idea!! And a wonderful way to use an old crib! Ingenious! Sunny has a lovely dog crate. The typical ones look so dingy and bleh and cost too much. 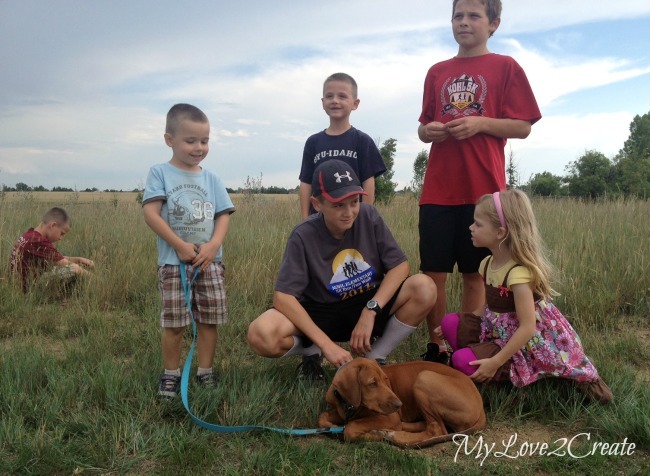 First of alI...I am amazed that you have six kids AND a Rhodesian Ridge Back! I don't know how you found the time, but that crate is killer! Pinning! Sunny is soooo big! 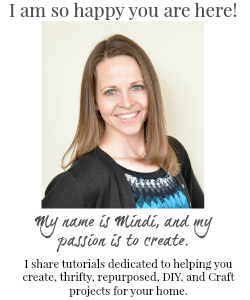 I loved looking at all the pictures Mindi! How much the project cost you, please? You are just too darn creative!!! It's so nice to look through all of your family beautiful pics, that one of Sunny all curled up is too cute! Now, the idea of creating a big comfy space for her, shows all of your love! Amazing idea! Amazing! I admire your vision... What a sweet place for Sunny to sleep! Thanks for sharing at my Creative Ways Link Party! What a great idea! I've never seen anything like your Dog Crate, and it came out beautiful! Thank you for sharing with the Clever Chicks Blog Hop! I hope you’ll join us again next week! That is SO nice! Most crates that look this nice are for medium to small dogs. Having a 130 lb dog, I think it's wonderful to see a very nice looking crate for a large dog! Thank you for sharing this! 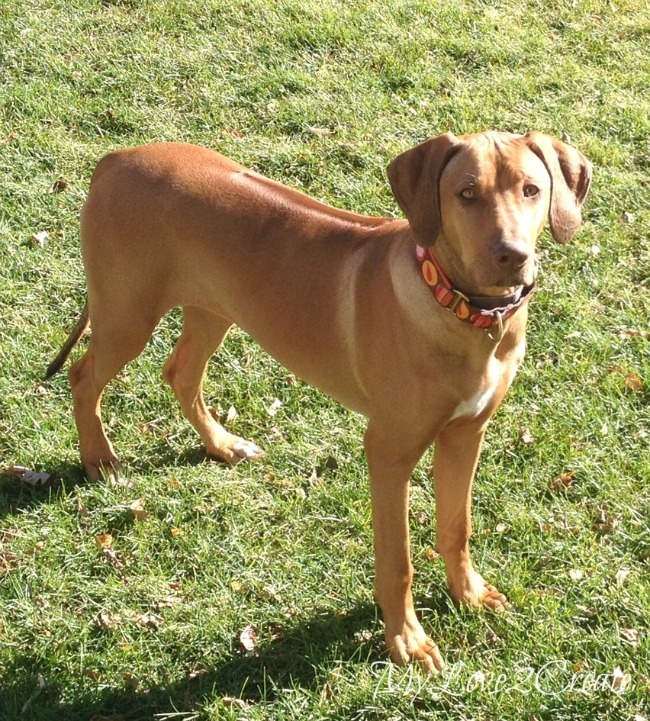 I have a Rhodesian Ridgeback too, and we've run into the same problem. I still have the crib from my youngest, so I will definitely be trying this. Awesome project! I am totally pinning this for the future!!!! This is such a creative solution! Sunny looks happy to have such a gorgeous place to hang out! 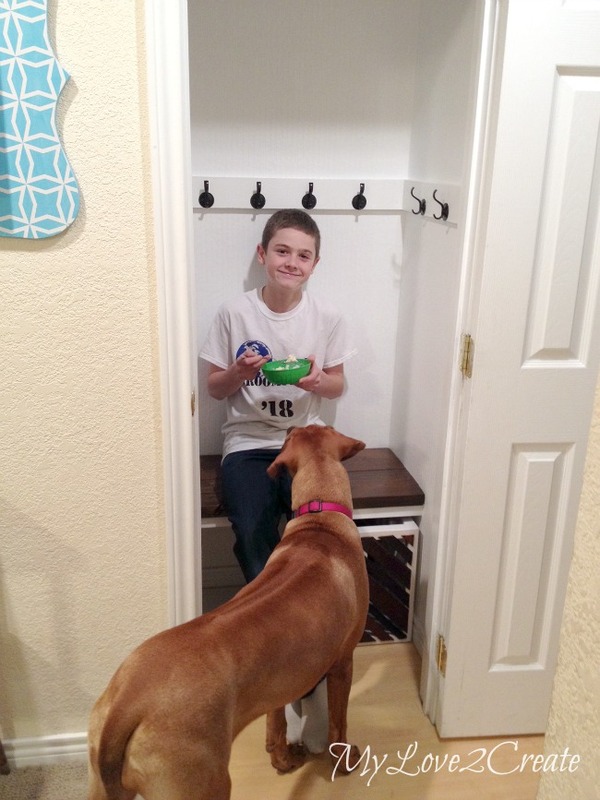 Thanks so much for sharing at the Talented Tuesday Link Party! Pinned! So so pretty! I would much rather have this than the eyesore metal ones! Great job! Pinning! Thanks for sharing this at Totally Terrific Tuesday last week. I can't wait to see what you have lined up for this week! What a fabulous idea! Easy to see that the dog is happy. 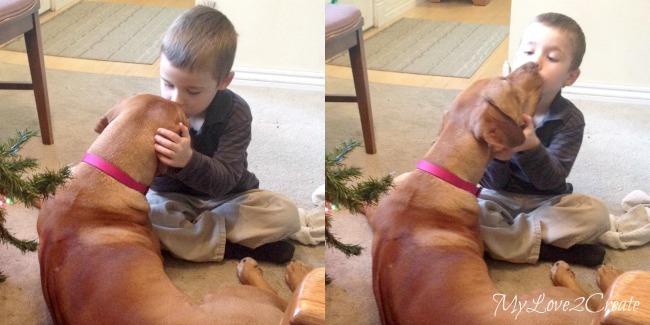 And what kid wouldn't love puppy kisses? Thanks for sharing with SYC. I love it!! I was hoping to build something similar like a console of some sort for the entry that could double as the dog space - this is perfect. So I can close the doors when I need to let guests in. Congratulations! This post is featured over at Diana Rambles today and has been pinned in the Featured at Diana Rambles board at Pinterest, Tweeted, Stumbled, and Shared on G+. 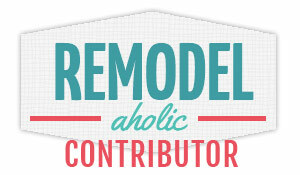 Please grab a featured button off my button page or via the post guidelines graphic. Thanks for sharing this awesome idea! That is a fabulous idea and so much classier than a wire crate! Love it! Thank you for sharing it at What We Accomplished Wednesdays.